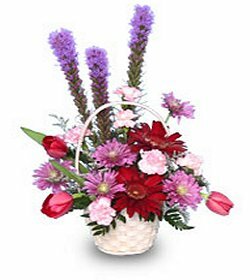 Lavender & Lace Florist & Gift Shop is a premier, full-service florist proudly serving Mantua and the surrounding areas for 29 years in the same location. Our highly-trained staff is ready to assist you with placing orders for local delivery or anywhere in the world. Not sure what to send? We'll gladly help you with creative suggestions. Unsurpassed customer service is just one of the things that sets us apart! Whatever the occasion, let our talented design team create your eye-catching floral arrangements. 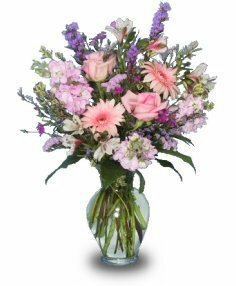 Choose from several traditional and contemporary floral design styles that are perfect for any occasion…birthdays, get well, anniversaries or just because. When you’re looking for something special, we can provide just what you need! Wedding Flowers ~ With Lavender & Lace Florist & Gift Shop designing the bouquets and floral arrangements, your special day is sure to be a blooming success!! Call us in advance and make your appointment for a consultation with a designer or event coordinator. Sympathy Flowers ~ Ask our staff about customizing a floral tribute to a departed friend or loved one. We can help you choose funeral flowers that beautifully convey your expressions of sympathy and serve as a lovely memorial to the deceased. Any Occasion Gifts ~ You’re sure to find the perfect gifts for all occasions at Lavender & Lace Florist & Gift Shop! Browse our assortment of dish gardens and green and blooming plants for a gift that adds life to any room or office. We are stocked with an assortment of unique items, including candles, potpourri, luxury bath products, balloons, decorative silk arrangements, greeting cards, Boyd’s™ bears and much more! We also have a tea room on site and we carry an extensive line of tea pots and bone china. Lavender & Lace Florist & Gift Shop is conveniently located at 130 Bridgeton Pike in a 140 year old Victorian house and is open to serve your floral and gift giving needs: Monday through Thursday 9:00 am to 6:00 pm, Friday 9:00 am to 7:00 pm and Saturday 9:00 am to 4:00 pm. For your convenience, we accept all major credit cards and we deliver to all area hospitals and funeral homes. Also, Smith’s Funeral Home is located across the street from our shop.